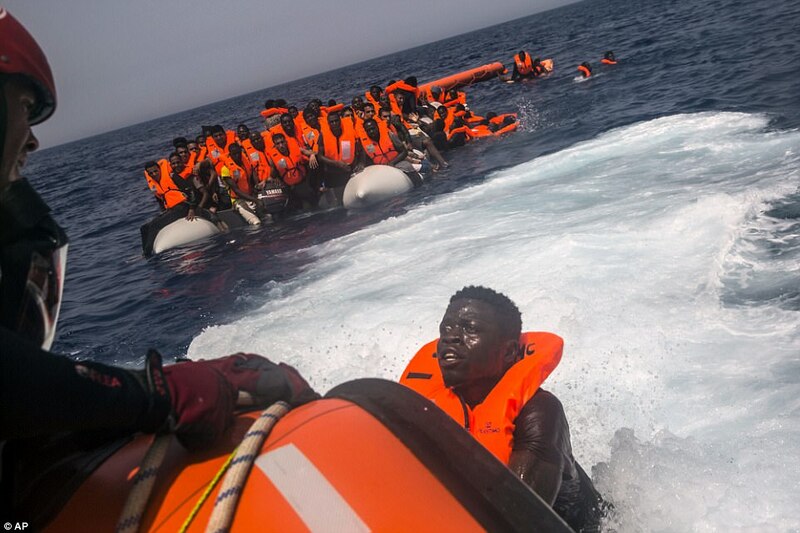 of the desperate scramble to cross the Mediterranean into Europe. life-jackets waiting to be rescued. illegal oil trafficking from Libya.